A foolproof way of cooking salmon fillets. 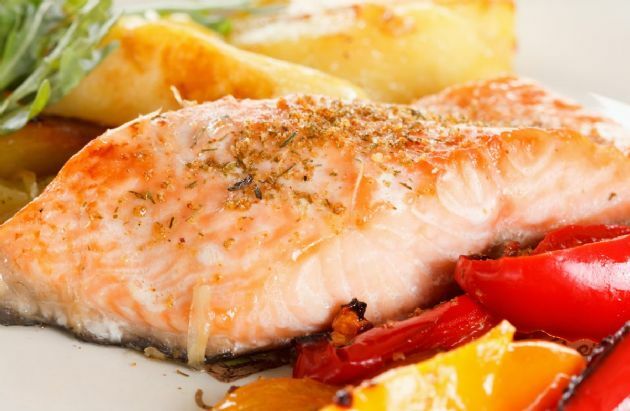 A foolproof way of cooking salmon fillets. Spray lightly with canola spray, and cook for @10 to 15 minutes until just cooked. Thanks for your comment and I'm glad you enjoyed the recipe. Sometimes the salmon fillets come in different sizes, the amount of crumbs will depend on the fillet size. You could try dillweed, basil and I'm told (although I haven't tried it) that rosemary is nice with fish. You could also sprinkle it with another juice or balsamic vinegar for a different taste.